This may not be a (May Dance) this is a video of a dance celebration in park slope brooklyn ny @ PS 39 around 1960…in the school yard, the school is located on 8th street and 6th ave ….if any one remembers anyne point it out in the comments,,and pass it on , there are a lot of kids as well as parents that are visible ..kids look 5/ 7?? ?i just know its not me it my brother Johns class i may not even have been born. after more research i can only think of PS 154 in Windsor Terrace where we lived for a few years …dont know.. i am basing it more on the back ground walls and fencing present in the video.. which is where we use to play ball all day at 39s……..
Commercial for The Park Slopian. (Needs to be watched in full screen) . PLEASE JOIN THIS SITE. SHARE/LIKE TO HELP ME PROMOTE THIS BOOK.. THIS STUFF IS NOT ON MY FACEBOOK PAGE….. 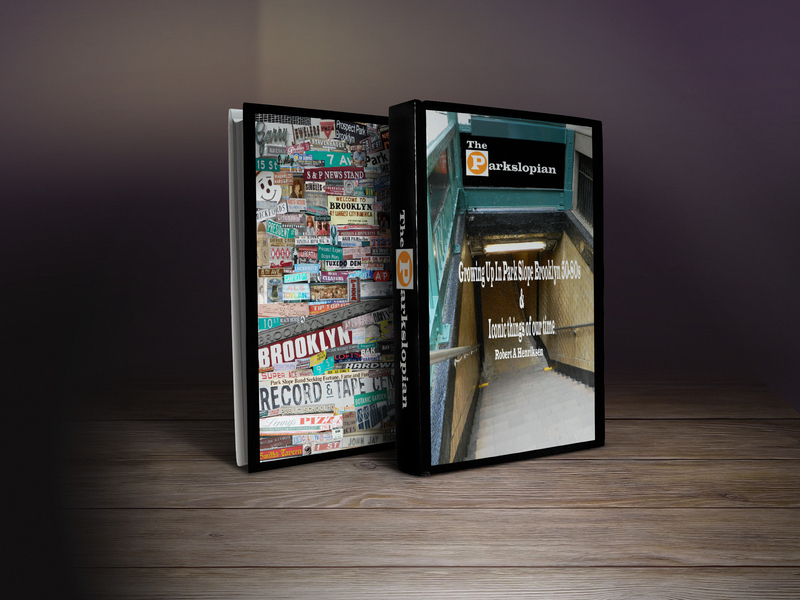 I COULDN’T BUILD THE SITE I WANT AND ADD ALL THIS GREAT STUFF I HAVE COMPILED OVER THE YEARS….. AND THERE IS A LOT MORE COMING “THE PARK SLOPIAN” IS JUST THE BEGINNING..
What neighborhood in Brooklyn did you grow up in? Or do you want to know what it was like growing up in Brooklyn. In the sixties and seventies. This book is as close as you’ll get to relive the past or experience the fun life and tragedies straight from the mouths and memories of the kids and the parents who grew up there. The book walks you from the youth of boys and girls to the eyes of a parent. From the doctors who delivered you to the school you graduated from. From the playgrounds and parks we played at to the street games we played and the ones we made up recalling all of the iconic stores and buildings in the neighborhood and the times. When I started this book, I was talking to myself. Then some friends dropped by and then more friends dropped by. We all began to reminisce about the good old times we had while growing up in Park Slope, Brooklyn. These are not only my memories, but they are also the memories of many of the friends and of people I have met. They are also the memories of my brothers and sisters and their friends, and the memories of our parents. The common ground is that we all shared these memories at the same time and the same place. These were our memories, but they could be your memories too. If you grew up in Park Slope during this time, you probably also remember and have shared many of the same memories with your families and friends because you were a part of Park Slope too. You probably went to the same stores and attended the same schools as we did. 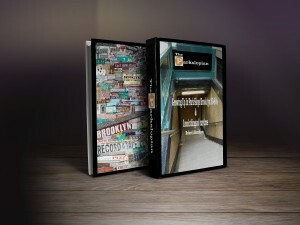 I have tried to include many of the iconic stores and landmarks that we would all remember, so that no matter who you are or where you grew up in the Slope, you will be able to at least remember half of these places or have done half of the things that are contained in this book. In making this book I had to come up with a formula, so it would flow through the years as if you were growing up along with us because you were there – from the doctors who delivered us to our first car! I also had to separate the book into categories that would fit best. I hope you like the job I did. It was great writing this. It rebuilt much of my memory on growing up in Park Slope, Brooklyn, N.Y. as I am sure it will yours. And it’s not so much about the place we grew up, it’s also about a time in history, so that anyone can read this book and just put their names and neighborhoods into the story and relive their childhood growing up also . We were all the last of a generation that participated and remembers most of this great stuff – from street games, some great fads, TV shows, candies, commercials and lots more, it’s just that in this book this took place while growing Up In Park Slope, Brooklyn.